I am now on holiday for just over a week, during which time there will be no updates to the site. Please do continue to send me any news or photographs ready for my return. 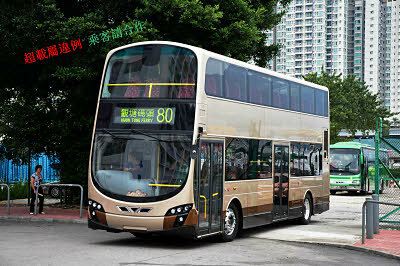 Another new Kowloon Motor Bus features in today's news, this time it is the two-axle Wrights Gemini 2 bodied Volvo B9TL. It is pictured earlier today undergoing tests. My thanks to regular contributor Grant Ng Kwok Kuen for sending me a selection of photographs, which have now been added to the section of the site. Any guesses as to its classification - AVBSW..........?? 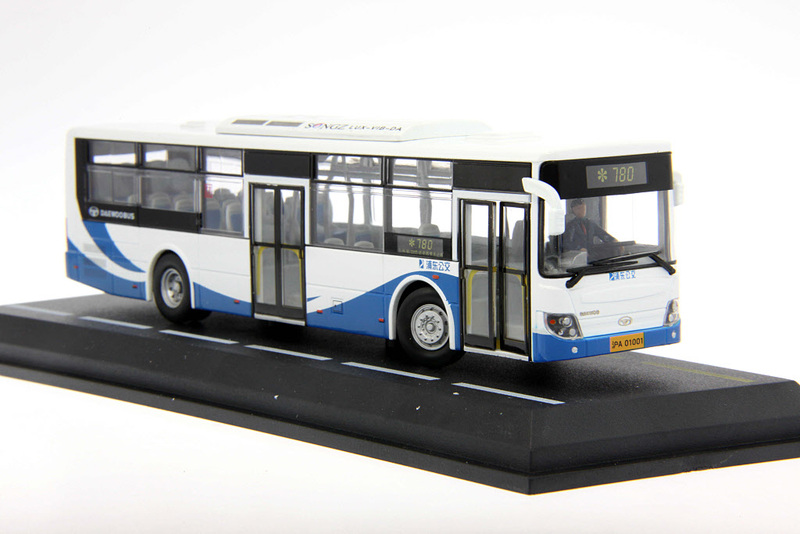 Creative Master Northcord have today announced the release of their second Sunwin SWB6120V4LE / Volvo B7RLE (cnbus 3002) model. It is operating Shanghai Expo 2010 route 1, in service between Shanghai Railway Station and Gate 6 at Shanghai Expo Pudong-side, in the fleet of Shanghai Ba-Shi Wuqi Public Transport Company Ltd. 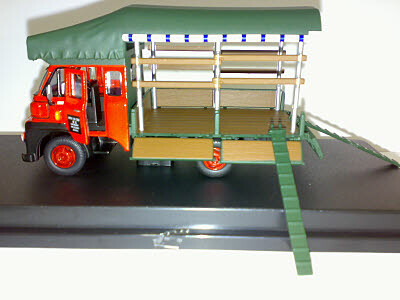 It is limited to 636 pieces for worldwide distribution and is available from the usual CMNL stockists. 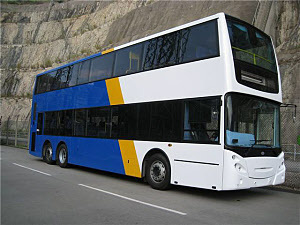 The China Light & Power page of the section of the site has tonight been updated with some new photographs, and information on where to see buses from this fleet. 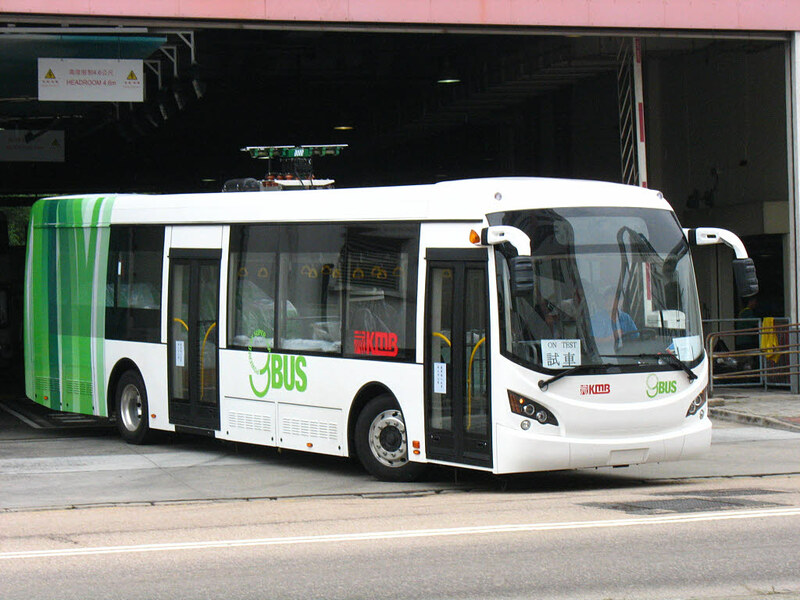 My thanks to Anthony for sending me the above photographs, one of the first Alexander Dennis Enviro200 Darts to be delivered to Kowloon Motor Bus and the other of the supercapacitor bus from Shanghai Sunwin, details of which were reported back in May. Further photographs can be viewed at Anthony's Gallery. 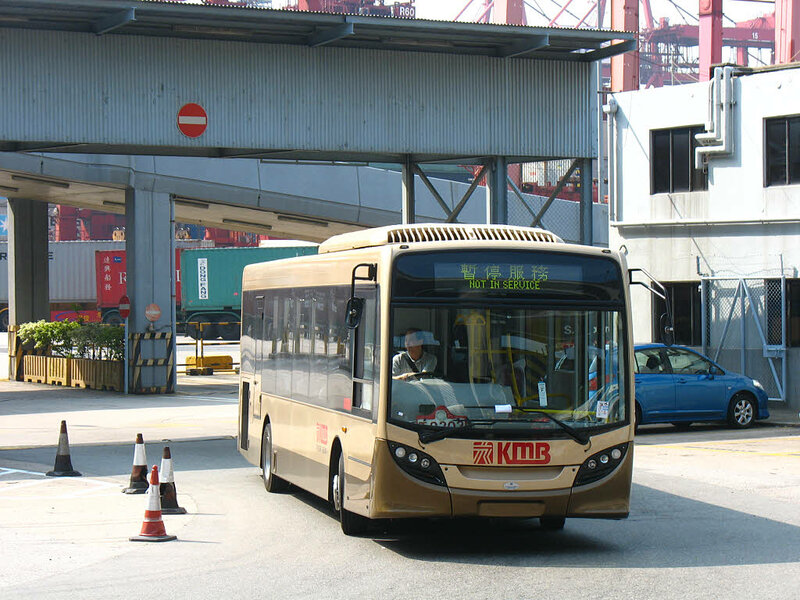 Released in Hong Kong today, earlier than anticipated, is the Kowloon Motor Bus Wrights bodied Volvo B9TL (DW10507) from Drumwell. Further photographs have now been added. The Network Shuttle website gives details of two new 1/50 scale Shanghai Pudong Daewoo SXC6120G single-deck buses, which are pictured above. Released in Hong Kong today is the 1/50 scale Leyland lorry from Best Choose (L10501R). 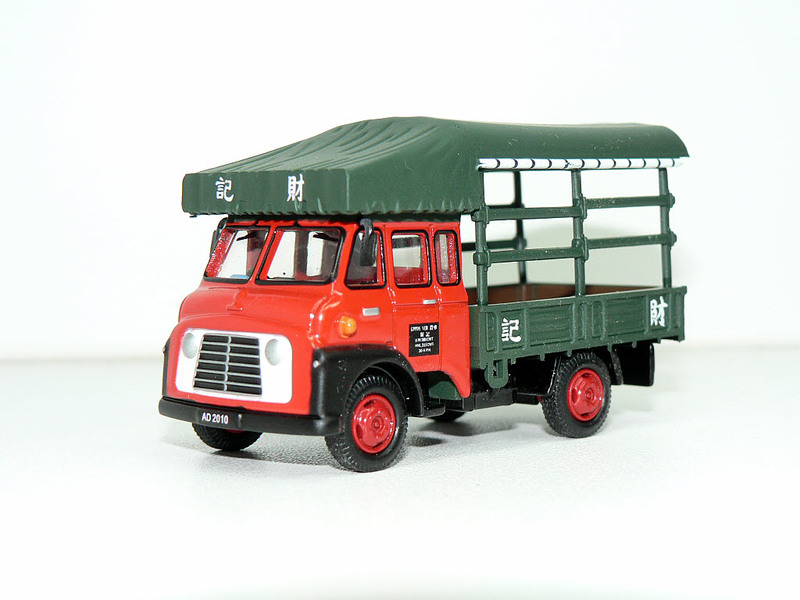 A sample of the recently issued Best Choose Commer lorry has today been received, courtesy of 3cubian.com. Time, or lack of it, has restricted me to taking just the one photograph, which has a larger and higher resolution image 'behind' it. It carries the words 'Choy Kee' and has the registration AD 2010. 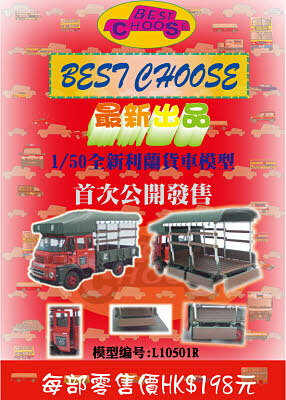 The Best Choose product code is C10765R and the suggested selling price is HK$63. Further details will be added to the pages shortly. 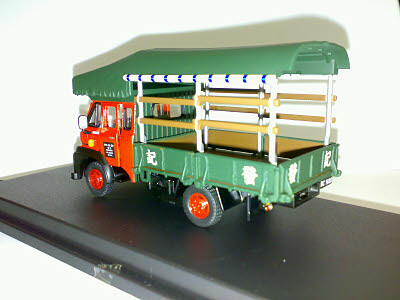 Due for release shortly is this 1/50 scale Leyland FG lorry, also from Best Choose. As mentioned above, a lack of spare time recently has prevented me from uploading some photographs, and I apologise for this. As soon as time allows, this will be resolved. but where can you see one? 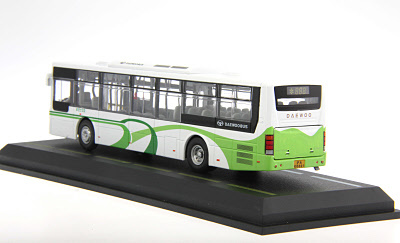 In a recent posting on the Diecast Buses Interactive group, a member has posed the question as to where he will be able to see, and photograph, buses from the China Light and Power fleet. I am sure there are others here in the UK, (including myself!) who will be heading to Hong Kong in the coming weeks, who would ask the same question - if you can provide details please e-mail me. 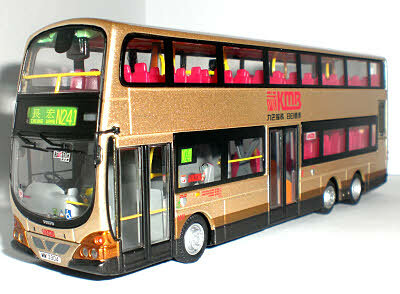 The next Kowloon Motor Bus model for release is this Wrights bodied Volvo B9TL from Drumwell (DW10507). 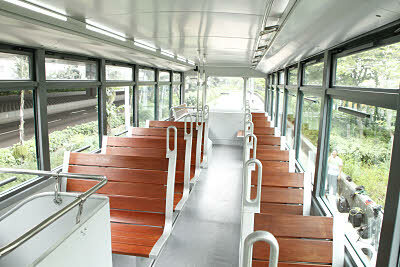 It features AVBW55 (MM 3904) on night route N241 to Cheung Wang and is limited to 1,500 pieces. No release date is presently known. 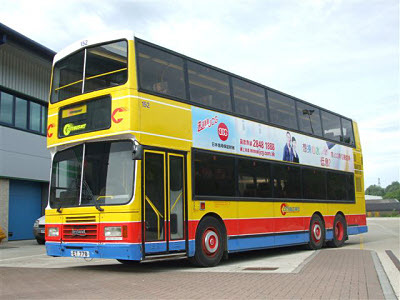 Pictured above is former Citybus Leyland Olympian No. 152 (ET 778), which has joined the preserved 'fleet' of Dave Rogers, alongside former Citybus Olympians Nos. 102 and 105. Having acquired the bus as an empty shell in November 2004, Dave finally completed work on her in September 2010, and as you can see, what a superb job he has done! Further photographs can be found at Dave's website, www.DavesLeylands.co.uk. 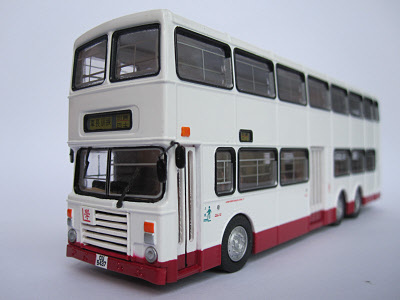 Dave did, of course, commissioned a model of 152 back in 2006, details of which can be found by following this link. 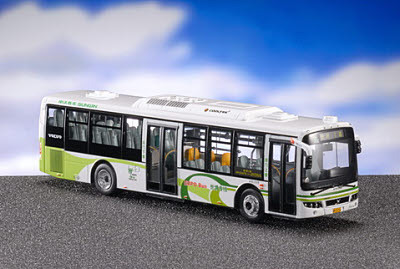 Creative Master Northcord has today issued a press release announcing the release of the second 1/43 scale Sunwin SWB6110 coach (cnbus2002). This model is operating for Shanghai Ba-Shi Tourist Transit and carries their standard livery of galaxy green with a grey skirt. The model is limited to 384 pieces worldwide and is available at the usual CMN outlets. 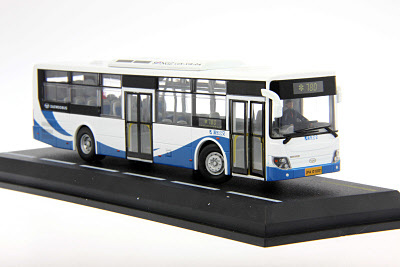 Set for release on Sunday (10th October) is the Cars Workshop Long Win Alexander Dennis Enviro500 (39410). It features fleet no. 8417 (PD 7770) on route E41 with a destination of Asia World Expo. It is limited to 1,600 pieces and is expected to retail for HK$298. 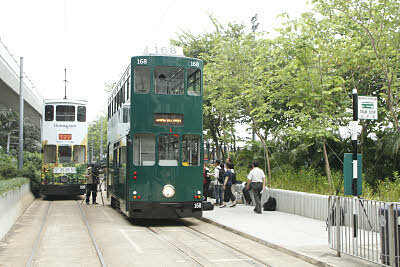 Hong Kong Tramways today unveiled their newly rebuilt tram No. 168. While the traditional-styled front design has been adopted, a number of new features, such as electronic destination displays and tram stop announcement systems, have been fitted. Further photographs have now been added to the section of the site, thanks to Dennis Law, together with the press relaese issued by Hong Kong Tramways. 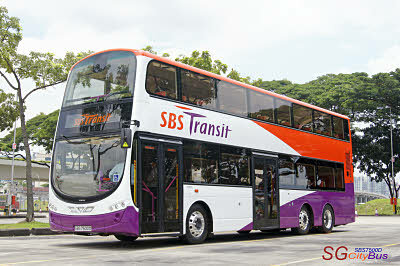 My thanks to Edward Yeo for sending me a selection of photographs of SBS Transit's new Wrights bodied Volvo B9TL, more of which have been added to the section of the site. 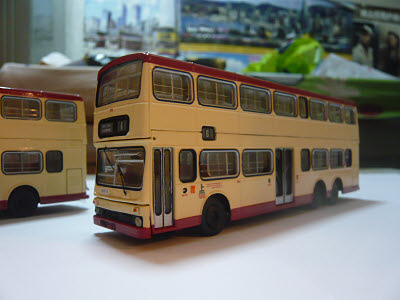 A new page has just been added for the tram released in late September from 80M Bus Model Shop (TT33653). 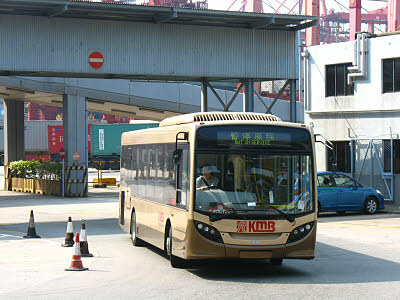 Featuring fleet number 210 (a fictitious fleet number) its destination reads Western Market. 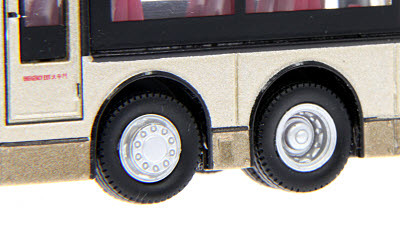 P&T Model have issued a set of six replacement wheels for the Alexander Dennis Enviro500. 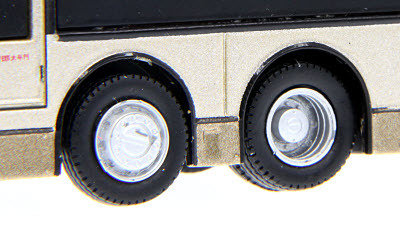 The top photograph shows the existing wheels whilst the bottom photograph shows the new wheels. 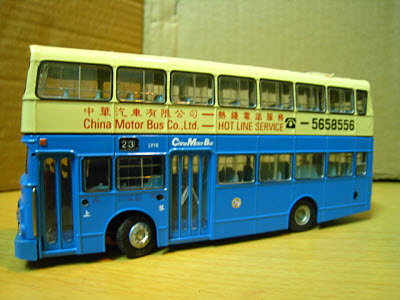 My thanks to regular contributor Neo Cheung for sending me a selection of photographs of an ABC Models pre-production Kowloon Motor Bus MCW Metrobus fleet no. 3M1, one of which is pictured above. More will be added to the section of the site shortly. 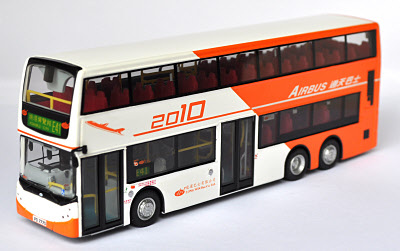 And, thanks to MSD, yet another ABC Models pre-production livery that was never released. The two final releases were 000404A and 000405A. 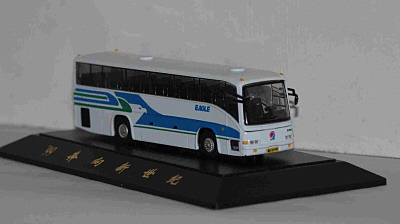 Pictured above are two later versions of the Checkmate Eagle coaches, which feature a new logo on the front. Larger images have been added to the appropriate pages, just follow these links - the white/blue version and the white/green version. My thanks to Tony Davis for this information. If you are able to provide any further information on either of these two models, please e-mail me. 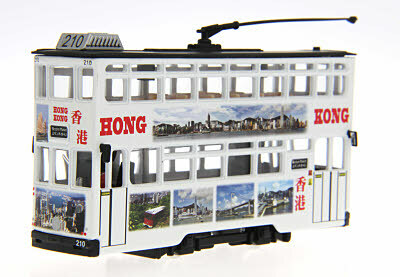 Set for release in Hong Kong on Monday (4th) is this Kowloon Motor Bus driver training liveried Dennis Dragon/Alexander from Venus Collectibles (M3N02). It features CU 5437 (formerly fleet no. 3N1) and includes several modifications to reflect its use as a driver trainer, such as additional nearside driving mirror, removal of seating and 'L' signs. The quantity is limited to 199 pieces and it is expected to retail at HK$349.